The Active Citizens’ Fund has re-opened! 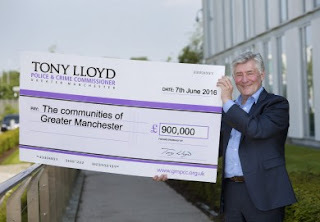 On Monday 15 August my Active Citizens’ Fund reopens, and I am inviting community groups and organisations across Greater Manchester to apply for their share of £200,000. Organisations can apply for grants of up to £5,000 for projects that help reduce crime and anti-social behaviour in their local area. All the information about how to apply can be found here: gmpcc.org.uk/funding. The deadline for applications is 4pm on Thursday 22nd September. Since the alleygates were installed 10 years ago the youth nuisance and vandalism we were experiencing has reduced significantly. This encouraged my neighbour and I to improve the rears of the property. The back has matured over the past seven years and we have also been included in the towns in bloom competition.